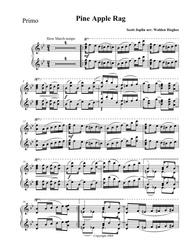 Composed by Scott Joplin (1868-1917). Arranged by Dr. Walden Hughes. 20th Century, Jazz, Ragtime, Recital. Set of Parts. 10 pages. Published by PianoEnsembleMusic (S0.300041). 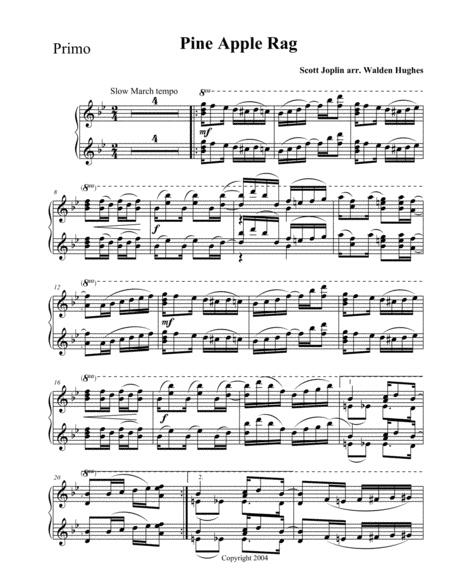 Joplin's Pineapple Rag, arranged by Dr. Walden Hughes for Piano Duet (1 Piano 4 Hands) RAGTIME Piano Rag.